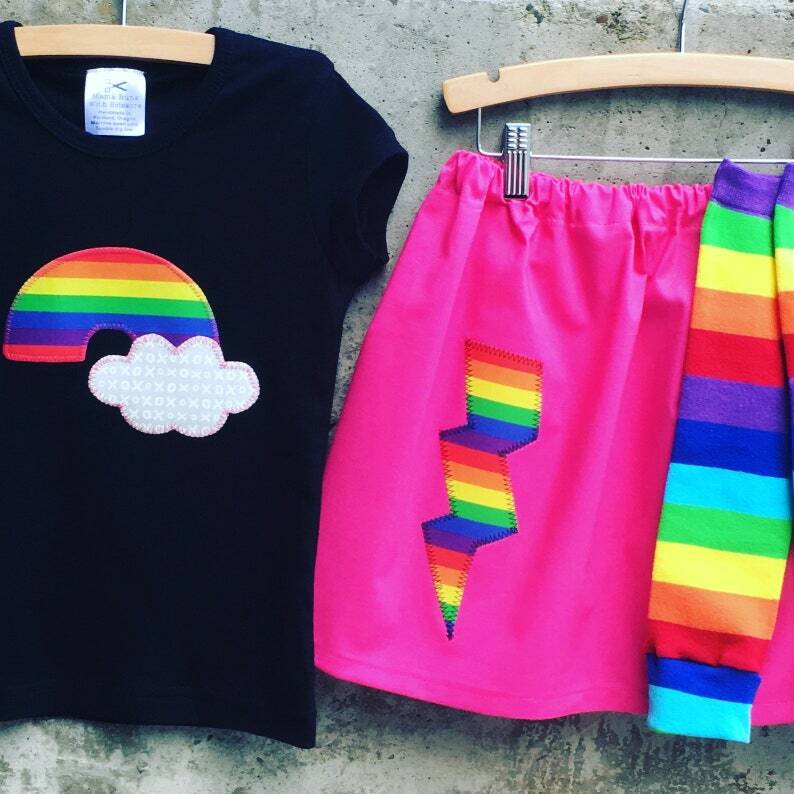 A magical combination of rainbow clothing make this girls set extra fun! This boutique quality appliquéd baby bodysuit or kids shirt, leggings and skirt set is available in sizes to fit baby, toddler and big kids. Perfect as a gift or something special for your child to wear at their next birthday party, special occasion or photo session. - Cap Sleeve style shirt shown in listing photo. - Wanting the set without the leg warmers? Add a matching tutu? • You will receive the rainbow cloud baby bodysuit or kids shirt in the size, color and sleeve length of your choice along with a coordinating skirt and leg warmers as shown in the listing photo. * We use American Apparel, Primary and Colored Organics shirts and baby bodysuits. Please contact us with specific sizing questions. * All orders will receive leg warmers that are 14 inches in length unless you specify a shorter length.